Your security starts at your front door. Never worry about a family member answering the door to a stranger again. With a video doorbell, you can see, hear and speak to visitors from anywhere. Instant mobile alerts, two-way talk, and HD video will allow you to answer the door from your smartphone, tablet, and PC. Want to know when packages arrive? Set up motion alerts that you can receive on your phone in real-time when anyone steps onto your front porch. 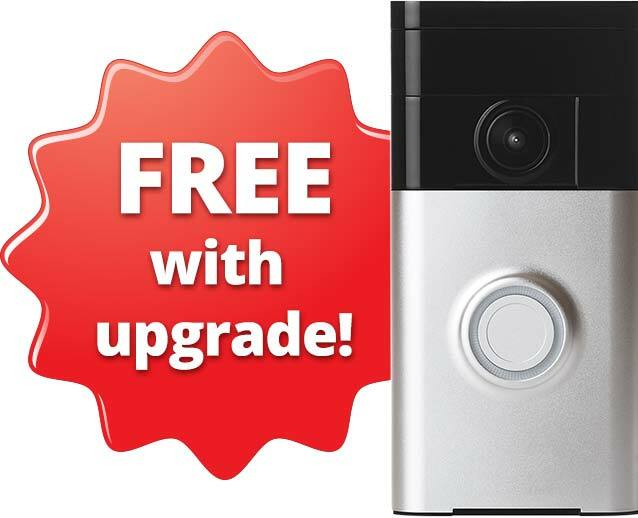 Receive the latest video doorbell when signing up for security monitoring. Our technicians will install the hardware, set-up the app on your phone, and teach you how to create motion alerts and other notifications for you and your family. An executed 36-month monitoring agreement and wireless internet access are required to receive a complimentary video doorbell.